Meet two councilmembers who made history in West St. Paul. This week’s West St. Paul City Council meeting didn’t seem to have any major items on the agenda, but there were still several noteworthy items. So let’s do a quick recap of the Feb. 25, 2019 meeting. 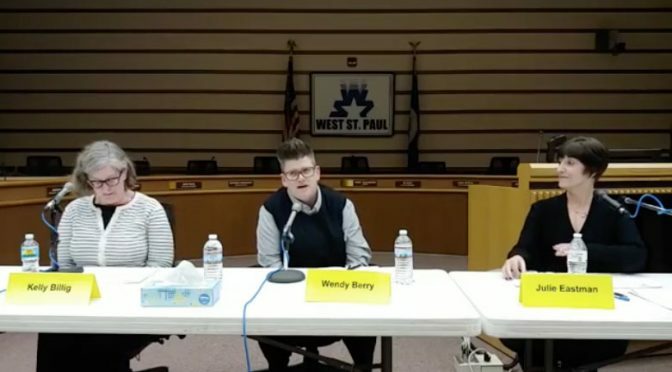 In a bit of friendly competition, the West St. Paul city council has challenged the South St. Paul city council to see who can bring in more food and donations in support of the Neighbors Inc. food shelf. The losing city council will wear the hockey jersey of the winning city’s team at a meeting. So it’s South St. Paul High School Packers vs. Henry Sibley High School Warriors. You can find more details including a list of places to bring food or donations online. How Much Do Election Campaigns Cost in West St. Paul? 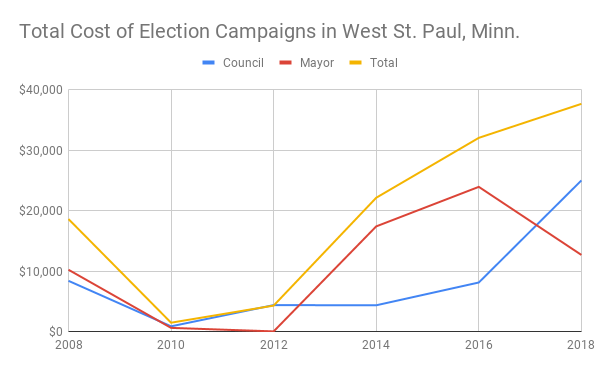 We had a competitive and heated election season in West St. Paul, Minn., in 2018. That hasn’t always been the case, but it also means an increase in costs. 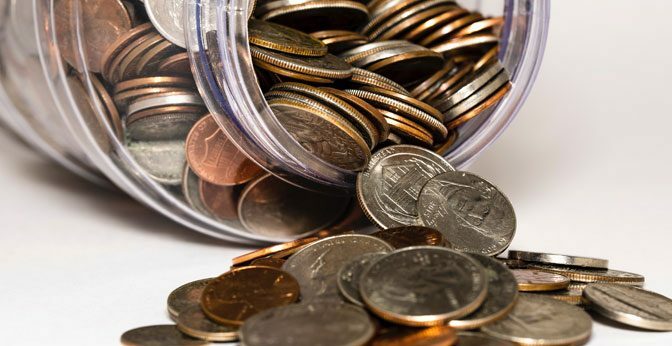 Let’s take a look at the cash spent in recent elections in West St. Paul. 2018 at nearly $37,700 total. Only one race was uncontested and there was an extremely expensive primary in ward 3 where all four candidates spend over $2,000. After feeling somewhat despondent after the 2016 election, I decided to focus on local politics. I couldn’t do much about things at the national level, but I thought maybe I could make a difference at the local level. An army of volunteers and supporters came forward, and together we worked for change. People tried to join city committees, we supported a local trail, put on a bike rodeo—we got involved. Then the sexism controversy exploded and West St. Paul made national news. And not in a good way. People were already starting to pay attention, but that issue galvanized people like never before. 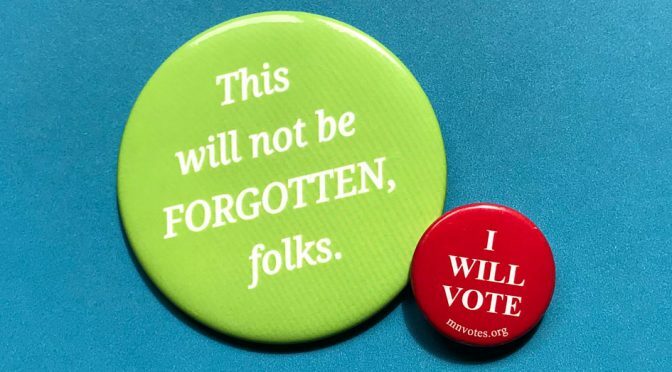 A progressive advocacy group, Women of West St. Paul formed, and they organized voter registration efforts, rides to the polls, and multiple candidate forums. For the past several years I’ve been blogging about local elections. I’ve tried to stay quiet about broader politics and avoid stupid comments, but this year I couldn’t help myself. Well, I hope I avoided most stupid comments, but I couldn’t stay quiet about what was happening in our democracy. So this year, instead of just blogging about West St. Paul’s races, I found myself blogging about the entire ballot. From city council to U.S. Senator, I covered it all. 18 posts in 18 days (plus a lot of posts before that). The 2018 West St. Paul Ward 3 city council race is an open contest since incumbent John Bellows is not running. After a heated four-way primary, Wendy Berry and David Meisinger are vying for the seat. No shock to anyone who’s been following along, but I’m voting for Wendy Berry. Wendy Berry has a decade of experience in human resources and leadership. She is a mentor and volunteer. She completed the Citizen Police Academy shortly after moving to West St. Paul, showing her commitment to the city. This is her first run for office. How Much Economic Development Does West St. Paul Need? Expanding the tax base and economic development are solutions thrown around by candidates in West St. Paul. That’s all well and good, but sometimes they act like it’s a cure all. To get the kind of revenue we need, expanding the tax base can only do so much. Some of the other candidates seem to focus on economic development and expanding the tax base as the sole approach to bringing in more revenue and helping us tackle our budget challenges. Those same candidates don’t seem to be fans of the proposed sales tax (though most seem to agree that they’ll follow the will of the voters). So let’s do a comparison, just to get an idea of impact (because it’s not a binary choice). You could hear it in her voice, the frustration that West St. Paul Mayor Jenny Halverson felt after multiple women spoke up during the Oct. 8 city council meeting—again—to decry targeted attacks of tires punctured with screws. Where Do West St. Paul’s 2018 Candidates Stand on David Meisinger? The mayor and three city council seats are on the ballot in West St. Paul this year. I’ve been asking our local candidates some questions to see where they stand on the issues. Earlier we covered Robert Street debt, Pride flags, medians and roundabouts, and making better headlines. For my last question, I wanted to ask our current candidates specifically about the behavior of another candidate. A lot of people have seen my article about the inappropriate behavior of David Meisinger. In some ways it’s an awkward question to ask candidates to go negative on a fellow candidate. On the other side, I don’t think it takes much bravery to condemn bullying. I’ve written a detailed article about the recent inappropriate behavior of former mayor and ward 3 city council candidate David Meisinger. I want to be clear that these incidents come from Meisinger himself and they are not partisan political issues. 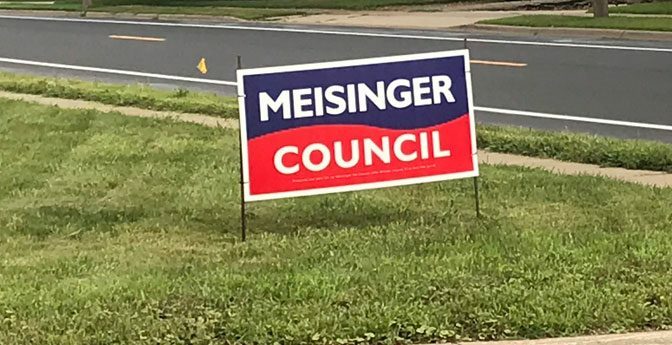 It’s important for citizens to know about his behavior and to know if other elected officials will condone his behavior—especially considering the multiple endorsements Meisinger has received in the past. What is your position on his recent behavior? Based on his behavior, do you think he should continue his campaign for city council? The 2018 election is less than a month away. Here in West St. Paul we’ll be electing a new mayor and three city council seats. I’ve been asking our local candidates some questions to see where they stand on the issues. Earlier we covered Robert Street debt, Pride flags, and medians and roundabouts. This time I wanted to ask candidates about negative behavior and how that impacts the image of our city. The recent sexism controversy was on my mind (here’s how the candidates have responded to that), but there are plenty of other examples. 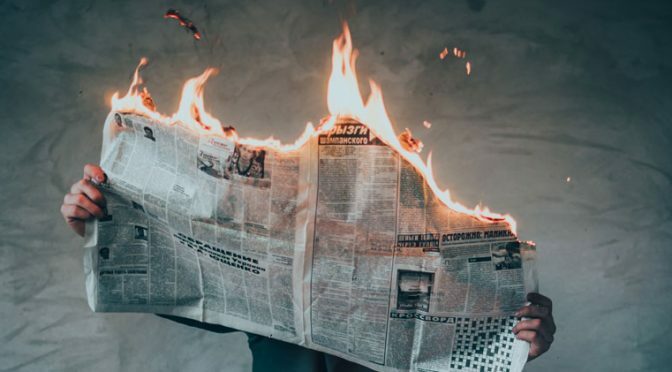 Inappropriate behavior by candidates and elected officials has been making headlines—from the local to the national level. How are you going to ensure West St. Paul is making positive headlines?